By Ceramic Tile Sealer Systems ceramic tile sealer, concrete floor coating systems, durable floor coating products, durable floor sealing products, high quality floor cleaning products, high quality floor coating products, high quality floor sealing products, long lasting wear resitant sealer, oil and stain resistant sealer, stain resistant sealing products, Uncategorized Comments Off on Which Floor Tile Sealer is Right for Me? Tile flooring is popular in commercial and residential applications. Tile is relatively low cost, yet it can be truly long lasting. At CoverTec Products, we know that increasing the longevity of your tile flooring starts by applying a floor tile sealer. GlazeGuard is our most popular floor tile sealer, it’s available in gloss, satin and matte finishes. This sealer can keep your tile in shape for the long run. 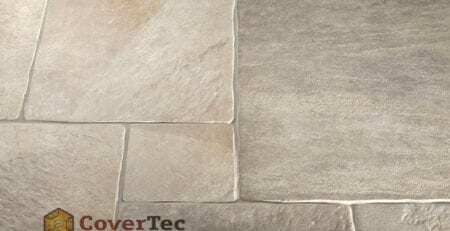 It’s easy to buy the best floor tile sealer, just shop our options at CoverTec Products! Why is GlazeGuard the most popular floor tile sealer? With GlazeGuard, our most popular floor tile sealer, you can keep your tile flooring in shape for the long haul! This clear sealer is ideal for ceramic, porcelain and stone tile. It increases cleaning ease while also protecting grout between tiles by keeping grout hygienic. Ready to check out our most popular floor tile sealer? Visit our website to start shopping!